SAUMUR, France, April 26, 2018–Cancellation of the international dressage competition at the historic French national riding center, Cadre Noir, May 3-6 was announced Thursday due to an outbreak of rhinopneumonia in the region. Organizers of the CDI3* as well as a slate of international youth team and individual competitions said the event was canceled as a precaution, but that no horses had been infected. National events at Le Mans and Deauville scheduled for this week were also canceled. 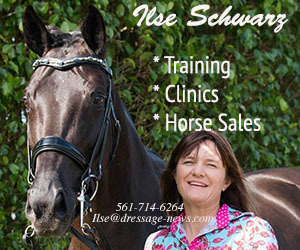 Saumur is a major outdoor dressage event that often draws competitors from both sides of the Atlantic.